Founded in Denver, NC by B.R. 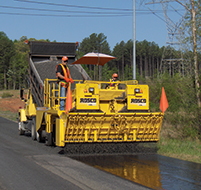 Lee to manufacture products for asphalt paving and grading. 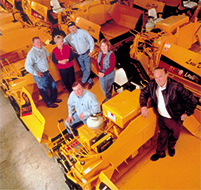 ‘LeeBoy launched its first self-propelled tilt-hopper LeeBoy paver in 1970. Patents on tilt hopper lift, hydraulic extensions and cut-off gates were received in the 1970s as B.R. 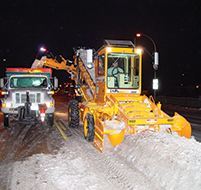 Lee and his family continued the tradition of quality and innovation that commercial paving contractors have come to count on in LeeBoy products. 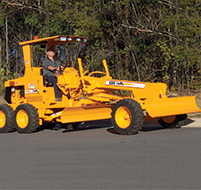 LeeBoy expanded its product portfolio to include rollers, graders, asphalt maintainer and trailer-mounted asphalt distributors to offer the perfect paving package for customers. 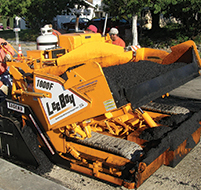 LeeBoy launched its innovative 8500 asphalt paver series, featuring the industry leading Legend Screed System and the the first LeeBoy force feed loader. 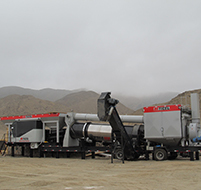 LeeBoy purchases the Athey force feed loader business and Rosco brand of road maintenance product lineup, giving LeeBoy the broadest lineup of paving, grading and road maintenance equipment in the road construction industry. Set up an extensive dealership network across 50 states in USA and 10 Canadian provinces. 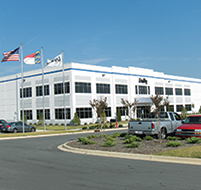 LeeBoy relocated to the Lincoln County Industrial Park in Lincolnton, North Carolina. This new 219,000 square foot building put all production operations under one. Leeboy was acquired by Vision Technologies, Inc (A member of the ST Engineering group). Incorporated a wholly owned subsidiary, LeeBoy India Construction Equipment (P) Ltd in Bangalore, India to cater to the emerging markets. Launched the LeeBoy 785i Motor Grader in India(12.5t) capturing a market share of over 7% in 2013. 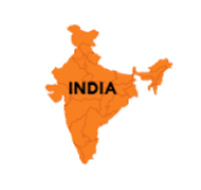 Established a distribution network in africa and the Indian sub-continent. Set up a wholly awned subsidary, LeeBoy Brazil Equipmentos De Contrucao Ltda. (LeeBoy Brazil) in Canoas, Brazil. Set up dealership and began sales of products to South Africa and GCC countries. 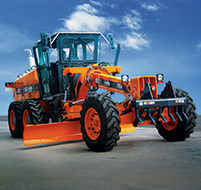 LeeBoy was the second largest in sles of motor graders in India with a market share of 22%. 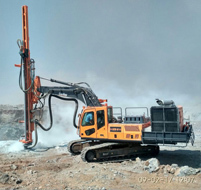 LeeBoy launched the 525-D, its crawler mounted drill rig. 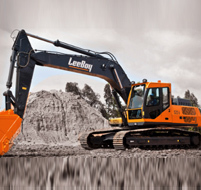 LeeBoy is a 50-year old US brand that designs and manufactures construction equipment for the infrastructure and road construction and maintenance industry. LeeBoy has earned recognition for its quality, depth & width of innovative designs and providing customers with state-of-the-art equipment and technology. LeeBoy is the land systems arm of the Singapore based, ST Engineering that ranks among the largest companies listed on the Singapore Exchange and is a component stock of the FTSE Straits Times Index, FTSE ASEAN 40 Index, MSCI Singapore and other indices. The LeeBoy manufacturing facilities are located in Lincolnton, North Carolina; Bangalore, India and Canoas, Brazil. LeeBoy India (LBI) was incorporated in India in October 2010 and has plans to invest S$ 50 mi in the Bangalore headquartered entity. 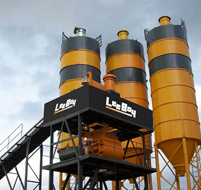 LeeBoy’s product portfolio includes Motor Graders, Crawler Excavators, Backhoe Loaders, Concrete Batching Plants, Concrete Curber, Pothole Patcher, Compaction rollers, Asphalt Pavers, Asphalt Distributors, Asphalt Maintainers, Force-feed loaders, Chip Spreaders and Brooms. LeeBoy is a member of the ST Engineering Group. ST Engineering (Singapore Technologies Engineering Ltd) is an integrated engineering group providing solutions and services in the aerospace, electronics, land systems and marine sectors. Headquartered in Singapore, the Group reported revenue of $6.54b in FY2015 and ranks among the largest companies listed on the Singapore Exchange. It is a component stock of the FTSE Straits Times Index and MSCI Singapore a leader in each of our sectors of business, we offer integrated and advanced solutions for customers across multiple industries. ST Engineering’s customers are both commercial and defence organizations in over 100 countries. We serve them through a global network of over 100 subsidiaries and associated companies in 46 cities across 24 countries in the US, Europe, Asia and Australasia. Round the world, we have more than 23,000 employees.